Inlays and onlays are lab-made restorations that are placed on teeth when the cavity or lost tooth structure is too large to be restored by a simple filling. The process of making an inlay is very similar to a crown. 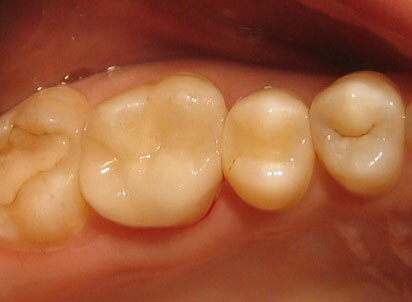 After the tooth is prepared, it is cemented or bonded to the tooth. 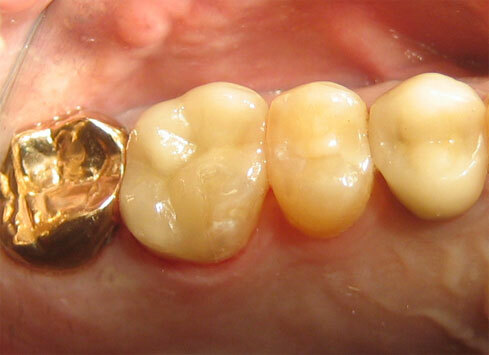 The primary advantage of an onlay over a crown is the ability to preserve more of the natural tooth structure. There are different materials that inlays and onlays are made of, including gold, porcelain, and composite resins. Lemont’s Pinewood Dental uses only high strength porcelain onlays. The material highly esthetic and very durable. The wear strength is very close to that of a natural tooth, making the porcelain onlay a cosmetic alternative to old bulky silver fillings. 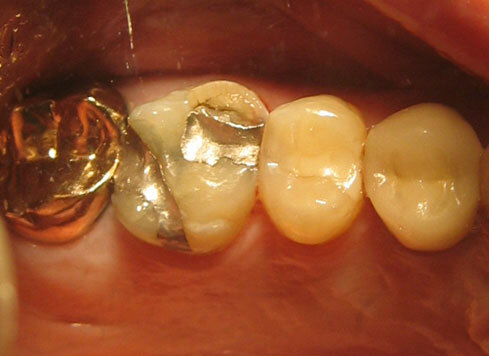 Gold inlays and onlays are also suitable alternatives, but their appearance makes them less popular. Call us today at 708-716-4341 to know more how inlays & onlays can help restore your attractive smile. 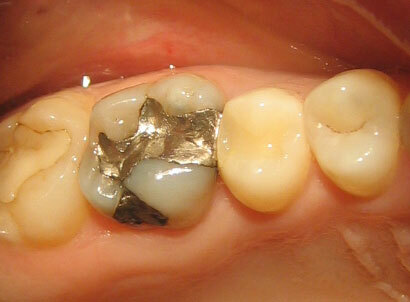 Older silver filling with cracks and hidden decay replaced with all porcelain onlay. Fractured tooth with silver filling, replaced with porcelain onlay as an alternative to a full crown. Your trusted Lemont dentist Dr. Mohajir will explain when an inlay or onlay is a viable treatment option for you. In general, inlays and onlays can replace most back teeth fillings and are sometimes cosmetically preferred over conventional fillings. At the same time, they are more conservative than crowns. As far as cost is concerned, because the process of making an inlay or onlay is similar to a crown, its cost is also comparable. But when considering the longevity of inlays & onlays, they can end up costing less than traditional fillings.